The duo really has no time to cook during the week. Last week was a good week. 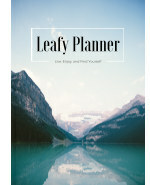 Excited to start a new diet and way of life, we took the time and cooked every night. However, we usually don’t. Let’s face it, after a long day at work, no one wants to be stuck in front of the kitchen counter to prepare dinner. These puppies really make your life easier! That’s why we invested in preserving jars (yes, Mason Jars are really amazing) and cooked big batches of food for the week during the week-end. 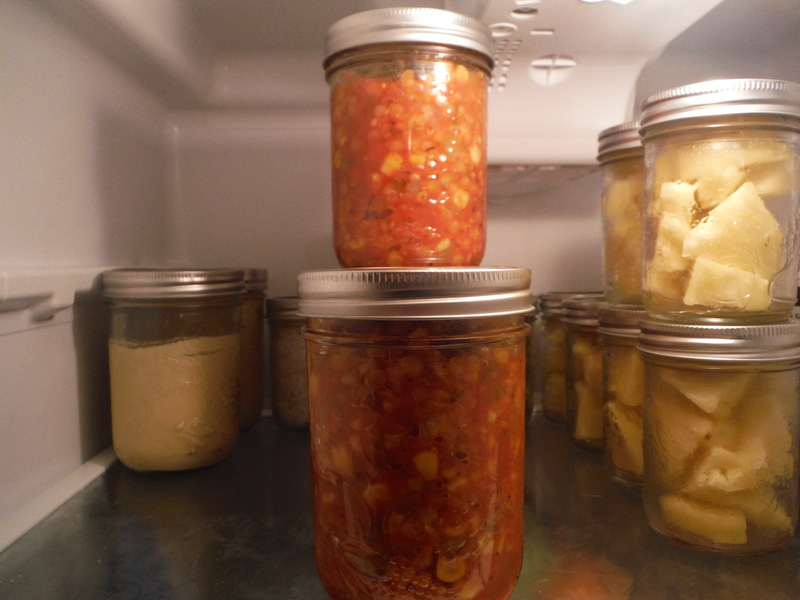 The great thing with preserving jars is that they come in all sizes, and that they really do preserve the food well. For example, if you have tried gluten-free pastas, you know that after a night in the fridge those babies are hard and not so good. Same with rice. Well not if kept in preserving jars! The noodles and rice are still soft and good to eat. So, yeah, we are kind of obsessed with these little jars. 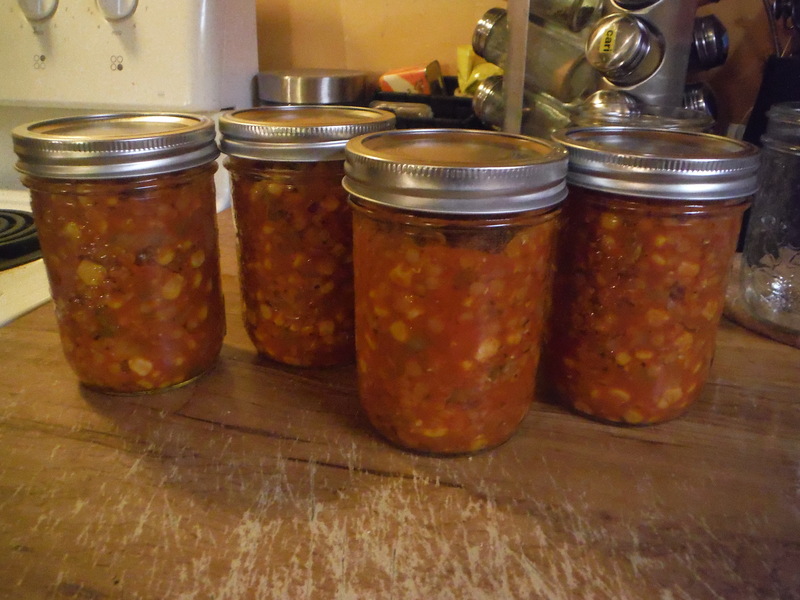 This week, we made a bunch of red lentil pasta sauce. This sauce is great because it is easy to make, spicy, and also goes well with rice. 1) Chop onions, garlic and celery into little pieces. You don’t want to find a chunk of celery or onion in your sauce. 2) In a large saucepan, on medium heat, golden the onions and garlic in the olive oil. Stir well in order to avoid browning. 3) Add the celery and stir well until the celery starts to get translucent. 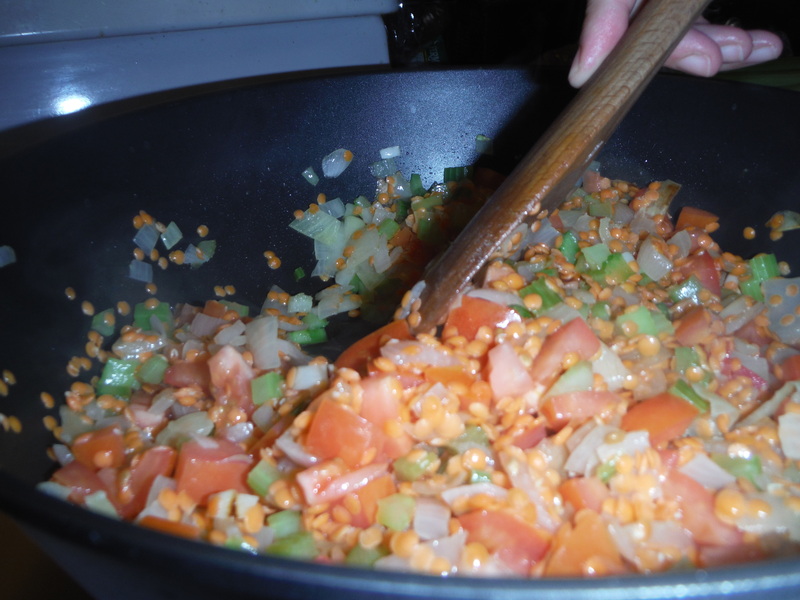 4) In a strainer, rinse the red lentils thoroughly in lukewarm water. When cleaned, let the lentils sit in water. 5) While waiting for the lentils to soften a little, cut the tomatoes into small dices. Add them to your saucepan and mix well. 6) Drain the lentils and add them. Don’t forget to mix! By keeping the heat to medium intensity, you will not need to worry about the lentils sticky to your pan. 7) Open up your can of corn and rinse it under lukewarm water (this is to get rid of the salt). Add it to the mix and stir. 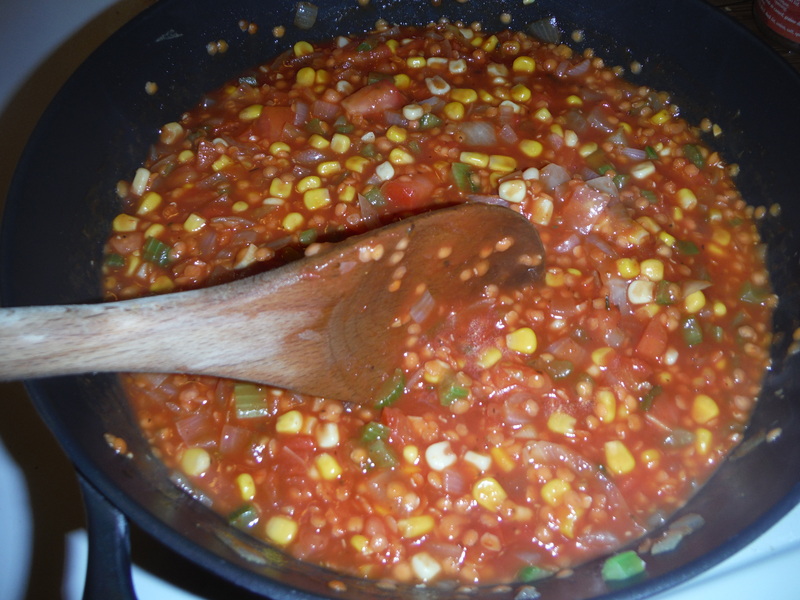 8) Add the tomato sauce and mix well. If your sauce is liquid enough (you want your sauce to be liquid enough to cook the lentils), do not add water. We found that we needed to add 1/2 cup of lukewarm water. 9) Add the oregano and cayenne pepper and stir well. 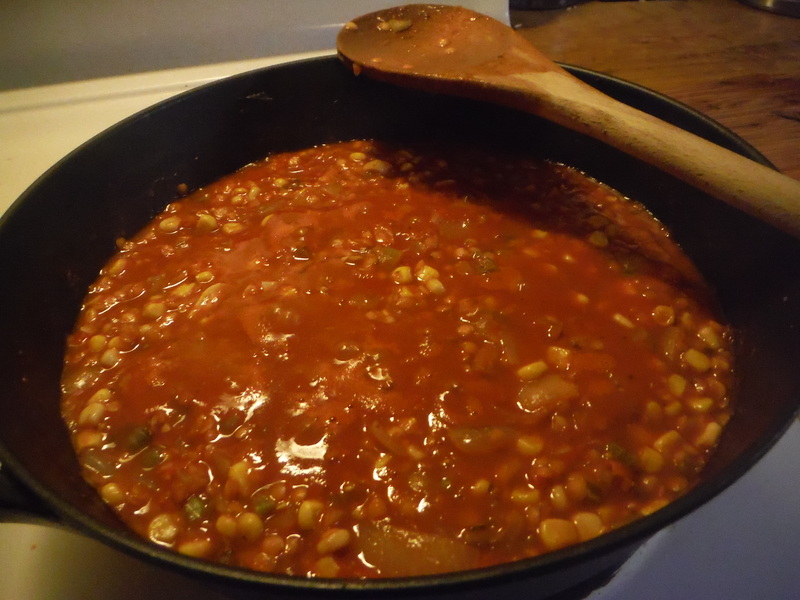 10) Let your sauce simmer until the lentils are cooked and you reach the sauce consistency you like. Enjoy the aroma! Stir from time to time to make sure your sauce it not too thick. This recipe is really simple, and easy to make. We really like it over gluten-free pastas. If you let it simmer for too long, this is also great as a lettuce wrap garnish. Our lunches are made for the week! This recipe gave us 4 jars, so enough for 8 meals. Not so bad!